Intellectual property (IP) is the umbrella term for the intelligence behind products that makes them unique and functional. It is increasingly the driver of wealth creation in the economy. IP is a valuable asset and often very costly to create. To obtain protection for your IP, you must have created it. Because IP law, and the degree of protection available, varies greatly across the world, it is always wise to consider carefully the likely markets for which protection is needed, the costs associated with obtaining formal IP protection in those markets and the risks associated with the application process. The right to copyright protection is automatic in the UK, but not necessarily elsewhere (signatories to the Berne Convention provide copyright protection in their countries). It applies to most original work and protection lasts for the lifetime of the artist plus a further 70 years (in other countries it is the lifetime of the artist plus 50 years). 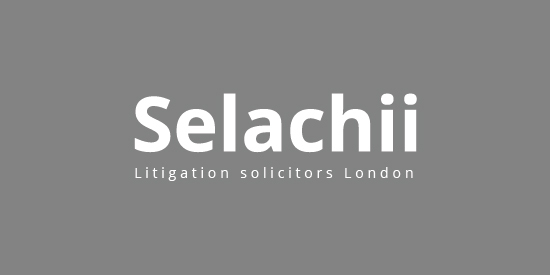 When international arbitration proceedings led to a decision that went against an online gaming firm client and resulted in them having to transfer valuable domain names to the claimant, the only way to stop this from happening was to issue substantive proceedings in the IPEC court at very short notice. After a strongly-argued case, our clients overturned the original arbitrators decision and kept their domain names. What Can I do if Someone Infringes My Intellectual Property Rights? The general procedure for dealing with infringements of Intellectual Property (IP) follows a pattern, and a succession of defences are typically raised if an allegation of IP infringement is made. One must ascertain whether the IP is capable of being protected and is in fact protected in the jurisdiction in which the alleged infringement takes place. It is commonly argued that the IP protection claimed is not valid because the IP rights were incorrectly granted. Most forms of IP protection have limited territorial scope and only last for a limited time, so making sure the protection relied on is still valid is essential. In patent cases, it is often argued that the patent should be revoked because its subject matter was 'obvious' or in the public domain. For damages to be awarded, the infringement has to have caused a loss and that loss has to be demonstrated and its value calculated. Here, expert witness evidence is often crucial. One of the common arguments regarding designs and trade names is over whether an average consumer would have been deceived into thinking that a product with a similar name or packaging or design is the same as the 'protected' product and might therefore buy it instead. A defendant will normally deny that any confusion would arise and that, if it did, the loss would be at most trivial. economic factors such as the likelihood of being paid if the outcome is successful and the value of compensation likely to be received. Once the infringement of IP has been proven, a variety of actions can be taken, the aim of which is commercial compensation for the loss suffered. In the UK, in such cases the loser pays the winner's legal costs, so there is a powerful incentive to come to the table and negotiate a settlement without having to go to court. Under UK law, the infringer can be required to pay all the profits made by the infringement to the rightful owner of the IP. If the infringement is causing significant damage before the matter can be resolved, it may be possible to seek an injunction, which is a legal order to stop the infringement. An injunction against future use is the normal outcome of a successful action for IP infringement as well. When a home improvement company found another company offering similar products under a similar name, the potential for damage to the company's business was clear. The threat of action for 'passing off' and breaches of trademarks and copyright was sufficient to achieve a prompt resolution of the matter and a satisfactory compensation package was negotiated. IP Disputes demand a strongly commercial approach. We are experienced in dealing with IP disputes of all kinds and take the highly commercial approach to their conduct needed to achieve optimum results. IPEC: Helping Protect Your Intellectual Property Intellectual Property (IP) arises across a broad range of sectors and involves a myriad different types of asset. Whether you are a business seeking to protect your brand or the use of your logo, or an entrepreneur seeking to protect your latest invention.